I hope to present a list here of all EOS dApps and projects that are working on EOS integration. These could also be projects that run on several other platforms like Ethereum, Qtum etc. as long as they’re looking to work with EOS as well. Let me know if you miss one so I can add them. And for the devs out there: make sure to create a topic for your EOS dApp in the #apps category. blockchain technology services with various real-life scenarios. Created for building industrial-scale decentralized applications. It’s fast, scalable, flexible and usable. We aspire to contribute to the emerging EOS community by providing information & tools, and by developing dapps. Everipedia is the next generation encyclopedia rebuilt for the modern age. With over 6 million articles and counting, it’s already the world’s largest English encyclopedia by content. Everipedia is free from ads and free to use for everyone under creative commons. Scatter is a Decentralized-Application Bridge for the EOS Blockchain. EOS Commander is client for EOS blockchain node for smart contract developers. The Awoo! DAC is a collaboration and crowdfunding platform for people who want to achieve epic missions. One could say that Awoo! is the invisible paw of the EOS blockchain. Next-generation mobile game advertising on the blockchain. ONEPAY is a revolutionary point of sale (POS) system that allows businesses around the world to begin receiving major cryptocurrencies as payments from customers. CYBEX is a decentralized exchange that seeks to improve the liquidity of crypto-assets that’s more transparent and secure than the centralized counterparts currently in the market today. CYBEX is an ecosystem that’s built and operated by a network of likeminded partners across the globe in a decentralized network. HireVibes is an open source jobs platform that will operate as a Decentralised Autonomous Community on the EOS.IO blockchain. Blockchain-Based Data Exchange. EOS gives Dapp Builder’s the ability to build Commercial Scale DApps and support thousands of transactions per second with Parallel Execution, Asynchronous Communication and Separates Authentication from Execution. A new protocol for the Advertising Economy powered by EOS. Discover sound from the source. We believe that the blockchain technology is the solution to transparent and effective global data exchange and analysis. Zimbra X has been built from the ground up to be a container-based, cloud-native product that can powerfully leverage the advancements of blockchain technology. EOSchat is an EOS mobile client and next-generation decentralized social network that integrates digital currency storage, main network high-speed transaction, EOS elite community and encrypted instant messaging. Your first smart digital wallet. A fair, reliable and transparent platform to play and bet for tokens. cards of any topic and make money in the process. The first microblogging social network rewarded by the contribution of content publisher and content discover powered by eos. Lumeos is a decentralized social media platform that empowers people to monetize their data by answering and creating short polls. *Make sure to do your own due diligence. We do not endorse or promote any dApp ICO or other crowdfund. Hi @rene - FYI: both the links are broken in the website link for sfeos in the main post. 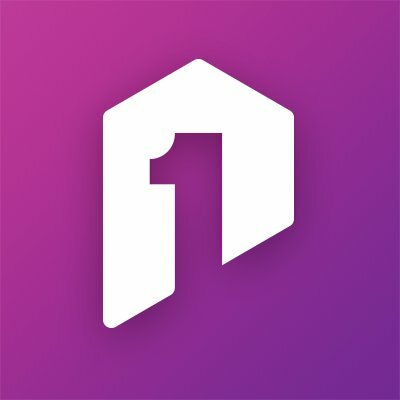 Do any of these (other than Everpedia) plan to do an airdrop of tokens? I only know about Everipedia so far. I just launched https://eosindex.io - it is a Directory for EOS based Projects. You can Submit, Comment and Rate Projects and Communities. I would love to see you guys checking out the Website and maybe even submitting projects! This is great, I just tweeted it out. I have some trouble connecting to your Telegram channel. I am connected but I can not post for some reason. Where are all the programmers? Are you going to buy the domain name for Awoo?! We’re listed on EOSindex but as many people seem to be interested in EOS d-apps now it’s a good excuse to share our project. Emanate.live is the most comprehensive and logically planned decentralised ecosystem for the music industry. Thanks for sharing! Just added your project to the list . Hi @rene. Could you add to the EOS DApps carmel.io ? The Massive Multiplayer Online Real-Time Economic Strategy (MMORTS) powered by EOS blockchain. The Free Market Economy. Play and get a real cash reward. We changed the name of our project, so 15 and 9 are the same project. Please erase 9. Please move 15 to 9.